Slot Games is the latest in a long line of new additions to the Jumpman Slots platform. It partners up with Slot Shack and Rocket Slots in the Meteor Marketing camp. As brands go it’s very ‘Ronseal’ and the site itself is quite basic. There are large splashes of pink and blue plus a pensive guy in one corner and a lady with a wooly hat over her head in another. What this has to do with Slot Games is a mystery. Perhaps the guy is wondering why has she got her hat over her head? Who knows!? New players to Slot Games are welcomed with a spin the wheel bonus. Deposit a minimum of £10 to spin the Mega Reel and win up to 500 spins on Starburst. Other prizes include Amazon vouchers - up to a value of £10. Further spins of the Mega Reel are available when you reload with £20 or more. Any wins from the spins are paid as a bonus and come with a x65 wagering term. Note that in order to make your first withdrawal, at least £10 must have been wagered in real funds. Promotions at Slot Games include network regulars such as a Happy Hour every Wednesday for depositors. Login between 3pm and 7pm to spin the Mega Reel and see if you can win extra spins. Regular players can benefit from a VIP program plus Trophies are awarded the more you play. 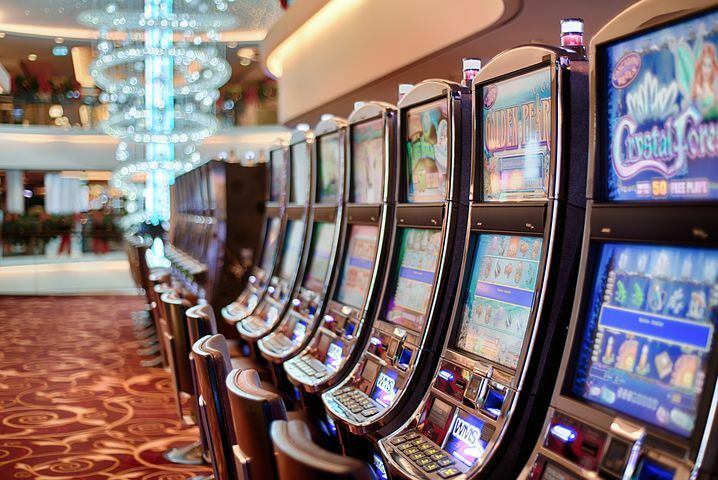 These Trophies move you up levels and generate more rewards. . Slot Games doesn't offer any exclusive promotions nor could we find any social media presence. Slot Games offers a good selection of slots and games that are accessible on mobile, tablet and desktop. You can find slots by A to Z, jackpot slots, newest additions, most popular and also your favourites. Popular slots include Gonzo's Quest, Rainbow Riches, Fluffy Favourites, Starburst, Irish Luck, Deco Diamonds and Reel Rush. Blackjack and roulett games are available but there's no live casino. The bingo rooms offer 90 ball bingo games but there's not much action going on here. The big jackpot games such as £2500 Pay Day are probably the only ones worth a look. No app is required to play Slot Games on mobile. You can login and play as normal with mobile, tablet and desktop. This gives you access most of the slots that are available. It’s hard to wax positively or negatively about this brand. Like many of the other Jumpman Slot brands we’ve covered to date it offers a good selection of slots from numerous providers. The Mega Reel bonus is OK but does have wagering term limitations. The recent changes to withdrawal terms are well received though. That all said, there’s not a lot here to drag you away from a different Jumpman brand. Slot Games is pretty much like ‘Ronseal’ – it does what it says on the tin, but it’s not something you’re going to be going to every day – unless you paint fences! Perhaps the only highlight is the bizarre use of the lady with the wooly hat pulled over her head.